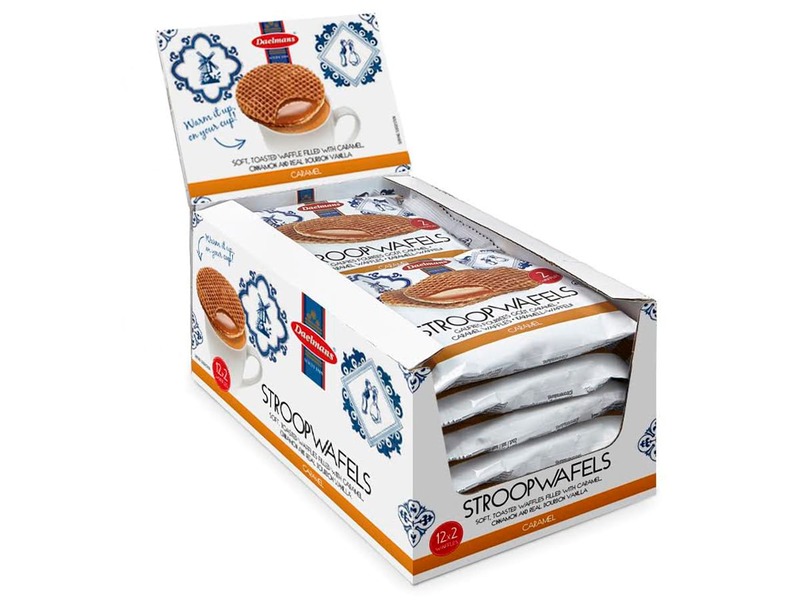 These Jumbo stroopwafels are wrapped per 2 and are perfect for those ‘on the go’ moments. 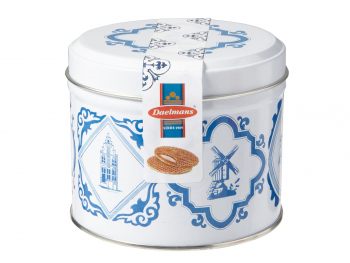 The Daelmans Jumbo stroopwafels have a diameter of 9 cm. Comes in a 12 x 2 display case. Weight: 2.3 lbs per case. Enjoy a Dutch classic. 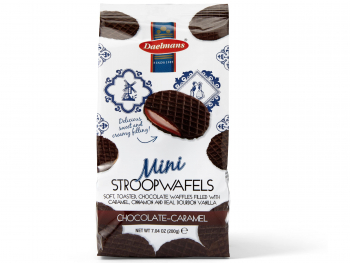 Connoisseurs are simply wild about them: the authentic Dutch wafers made by Daelmans family bakery (Est. 1909), with a rich smooth filling. Great with coffee! 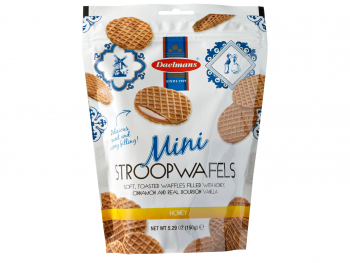 Enjoy the refined wafers and their characteristic filling. Experience the contemporary taste of honest tradition. This display case contains 12 packages, all wrapped per 2 waffles. Great for those “on the go” moments and to share with friends, family and colleagues. 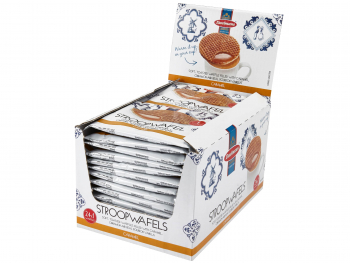 These display cases are also available with individually wrapped stroopwafels or with chocolate stroopwafels in 2-packs.